NEIGHBORHOOD VOICES: Riots or Uprising? 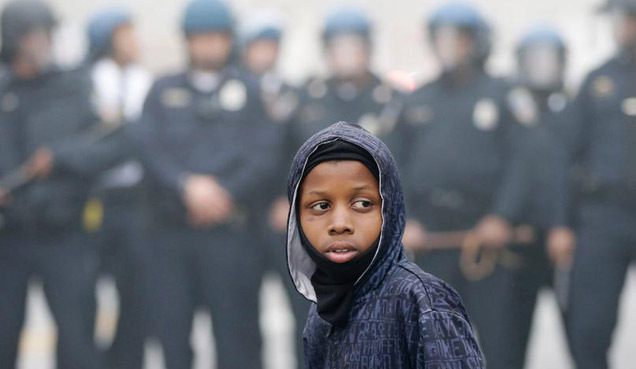 This FREE Neighborhood Voices workshop calls attention to Baltimore's protests, uprising, and riots six months after the death of Freddie Gray. This workshop will present images from the press for participants to examine how terms and media shape public opinion or undermine a movement. Young, black, biracial, and Latino storytellers from Southeast Baltimore present personal accounts of where they where during these events. Dr. Lawrence Brown, professor at Morgan State University, will make a special presentation and facilitate a group discussion. All-day Saturday workshop is hosted at the Southeast Anchor Library. Suggested ages 14 and older. Coffee at 10:30am. Lunch provided. Workshop is bilingual in English and Spanish. Must register 410-276-1651 or email info@creativealliance.org. Produced by Creative Alliance, Banner Neighborhoods, and Neighborhood Voices Committee. Funded by Baltimore National Heritage Area and Baltimore Community Foundation. Neighborhood Voices is a bilingual workshop series for all ages that uses real stories and role playing to talk about and act against racism.